The transplantation infrastructure now offers a successfull therapy for end stage organ failure. Organ transplant for liver and kidney cases are frequently performed from live donor. Liver, bone, pancreas and stem cell transplantation are the leading expertise of Turkish surgeons. The high-end infrastructure provides an update and comprehensive exercise of the latest transplantation developments in the fields of experimental and clinical tissue and organ transplantation along with recent social and ethical dimensions that impact the field. The 9th meeting of the Turkish Transplantation Society took place mid-2007 gathering distinguished faculty from around the world. Situmulating intellectual exchanges on the current state of research, new technics and new insights as well as suggestions for future directions of the treatment. 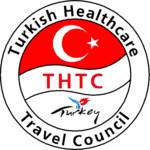 This post has been written by THTC: Turkish Healthcare Travel Council and viewed 4838 times.